Latvia is located in Northern Europe and as the country is a member of the European Union (EU) and the Schengen Zone those who wish to live and work in Europe have started looking at it as their first option. Its citizens are indigenous in nature and speak Latvian language. Surrounded by moderate hills and plains, and the country have four moderate seasons. Its citizens are immigrant-friendly and its strong economy needs more and more foreign trained skilled professionals. Latvia immigration and acquiring its visa is comparatively a good choice for those who want to live, work, study or if simply want to travel throughout the Europe. There are many major factors that attract migrants to its shores. Firstly, it is comparatively small in size, has a peaceful homely environment, the options to get a much desired residence permit are many, and lastly it has strong growing economy. To visit the country, an applicant needs to meet the criteria set by the Latvian Immigration authority. Possibilities are many, largely depending on your purpose of the visit. Certain choices are Schengen visa, work visa and if your intention is to live and work in the country indefinitely, then you may apply for residence permit. 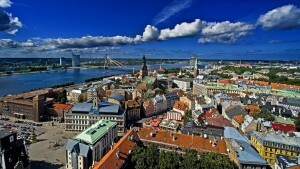 The grounds for issuing any of the permits are different, set as per the Latvian Immigration rules and regulations. The Latvian Residence Permit can be obtained by three different ways, i.e., investing in a real state, local company or in bank. Initially, the permit is issued for a period of five years and if the applicant further wishes to extend his stay he can apply for further extension. Another alternate passage to acquire Residence Permit is through Education which is a much harder and a rare option. The country is a member of Schengen Zone, therefore as per the Schengen Agreement, passport and immigration formalities has been abolished between the allies. Member states also recognize the Schengen Visa issued by the other Schengen states. On the first entry in the Schengen state, common immigration procedure is applicable; thereby entry to any other Schengen state is hassle-free. The privilege is that the third country natives with valid Schengen Visa may stay in any Schengen state for at least 90 days. If you wish to extend your stay, you may either apply for Temporary Permit or Residence Permit. Those, who are thinking about Latvia Immigration and wish to acquire its visa for long term stay, they need to fulfill the basic requirement, and each applicant is expected to clear a simple language test signifying that he has the basic knowledge of Latvian language. Previous Post: Poland Immigration Visa–What Defines Good Immigration Consultants? Next Post: Want Lithuania Immigration Visa? Hire Experienced Consultants!